We all know how great soft shell fleeces work for humans. So why not use them to keep our best freinds warm and dry too? Softshell fleeces have an extremely water resistant outer shell and a soft fleece underside. Perfect for snoods!! 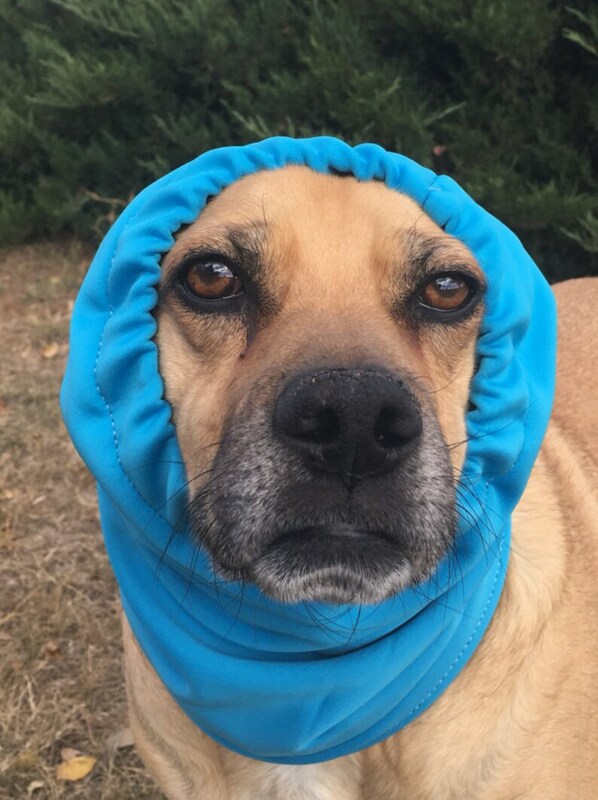 This snood is a size Medium. Approx. 20" in circumference by 13 1/2" long. It has elastic at one end that goes around the face. Elastic is approx. 14" unstretched. 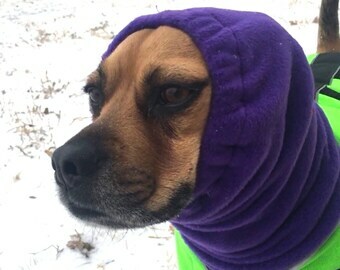 Measure your dog's head circumference to find out if this snood will work for it. Snood also has a slit for easy collar access. Wonderful quality and responsiveness to questions about product.